A primary and vital function of optical media is for archival use-to store video, audio, images and other data to preserve its quality over an extended period of time. Despite their purpose for storage, CDs, DVDs and Blu-rays have a finite shelf life. Depending on the media format, the manufacturer, and the environmental conditions, some discs could outlive the user while others won't be readable in just a few years. In order to prevent the permanent loss of data, it's essential to correctly store and in some cases transfer data to the latest optical media format before the current storage medium becomes outdated or unusable. 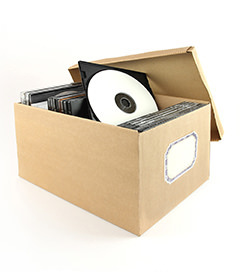 CD Information Center examines options to maximize archival media use, degradation signs and factors, as well as the approximate longevity of discs.